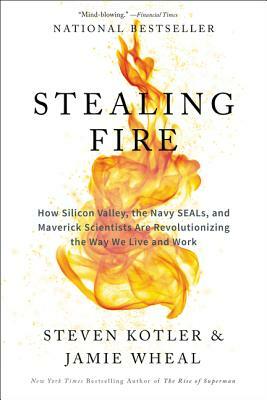 STEVEN KOTLER is a New York Times bestselling author, award-winning journalist, and the cofounder and director of research for the Flow Genome Project. His books include Tomorrowland, Bold, The Rise of Superman, Abundance, A Small Furry Prayer, West of Jesus, and The Angle Quickest for Flight. His work has been translated into forty languages and his articles have appeared in more than eighty publications, including the New York Times Magazine, Atlantic Monthly, Wired, Forbes, and Time. Steven is an in-demand speaker and advisor on technology, innovation and peak performance. You can find him online at www.stevenkotler.com.